Have you ever used a foundation that made your pores appear to be larger and the makeup look like glue stuck on the face? It is a common occurrence for many ladies around the world. What causes this to happen? And how do you stop it from ever happening again? The answer is pretty simple. You use the wrong foundation for your skin! 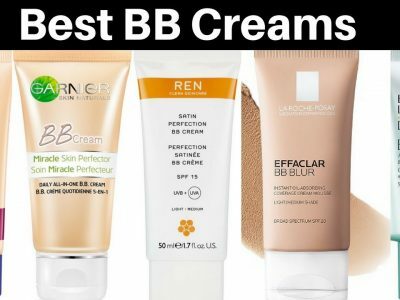 What you need to do, is invest in the right primer that can work accordingly with your skin type. It will not only address your problem, but it will ensure your final look is flawless. But how do you know which primer can work for your skin? 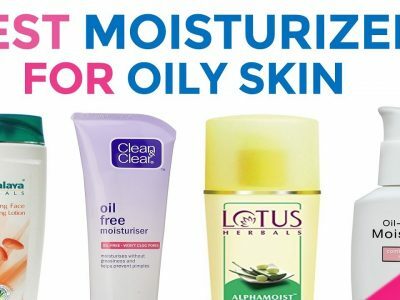 Dry skin may be what ladies with oily skins are crying to get, but it still has problems of its own. Several times when you apply foundation to dry skin, some areas may appear to be patchy. For such skin, you need to get a primer that can provide your skin with hydration to prevent it from flaking. Look out for a hydrating primer. 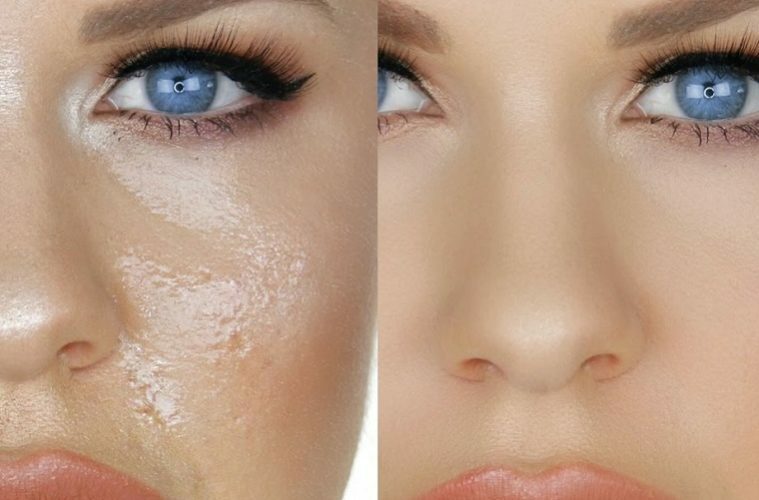 Having oily skin can be a nightmare when it comes to keeping your makeup on. How do you stop it from sliding off? You need to find a primer that can cover your enlarged pores and get rid of the excess amount of oil your skin produces. Without the use of a primer, the foundation will end up looking greasy, and your makeup will not set throughout the day. If you have a combination of both dry and oily skin, your T-zone may be oily while the rest of the surface remains dry. You should then find a primer that hangs in the middle by not mattifying or overly hydrating the skin. 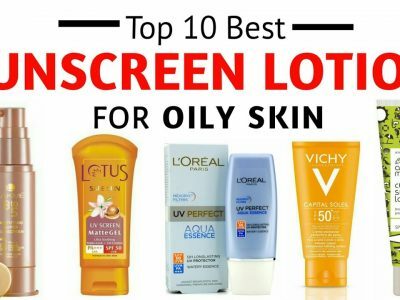 In case you have oily skin, you are in luck as we have identified 10 of the best primers for oily skin in the market today. The Maybelline Face Studio Master Prime Primer is a water-based formula explicitly made for oily skin. You can use the primer alone on the face or as a preparation for a foundation. It contains active ingredients that help with blurring the imperfections of the skin. The primer works by refining the face and smoothening the application of makeup allowing it to last throughout the day. The formula as well contains components that help to protect the skin from the sun. It is lightweight and does not leave your skin feeling greasy. The primer is dermatology tested, and allergy tested allowing it to work well on sensitive skin. It does not clog the skin pores after use. The Rimmel Stay Matte Primer is a unique formula designed to give you a smooth and flawless skin. The formula is lightweight and oil-free and will never have a heavy or greasy feel on the surface making the primer an excellent everyday alternative. The primer helps in getting rid of the large pores on the skin. It evens out the pores without clogging them leaving your skin flawless throughout the day. 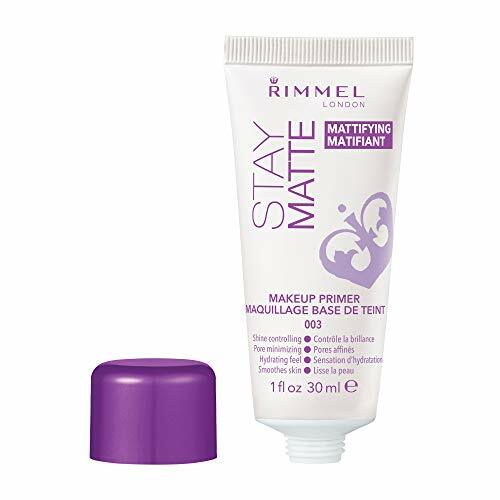 The Rimmel Stay Matte Primer clears out the oily patched on dry skin for 8 hours while still allowing you to enjoy the benefits of a moisturized skin. 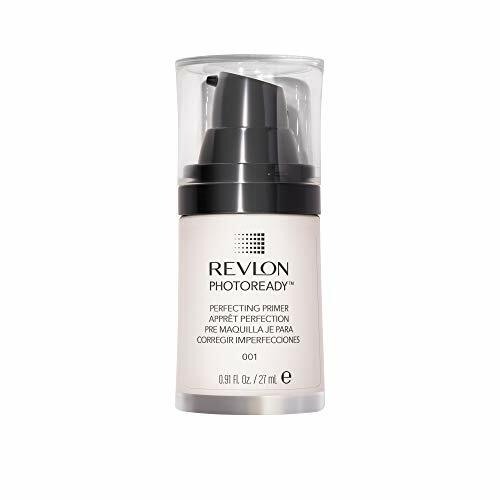 It is versatile as you can use it to create a velvet base for your foundation or you can use it alone giving you a photo-ready appearance. The e.l.f Studio mineral infused face primer works by combating oiliness, dryness, enlarged pores and fine lines on the skin leaving with a fresh and flawless look. It is ideal for creating a smooth base for using foundation. The formula is lightweight and can work on any skin type as it is free from parabens, sulfates, and phthalates. The primer has a certification from PETA showing that the primer is cruelty-free and all the ingredients used are vegan. For proper use of the e.l.f Studio face primer, before you apply your makeup, clean your skin and use only a small amount on the primer blending it evenly on your face. The formula provides the best base for full-coverage foundation, concealer, and powder. 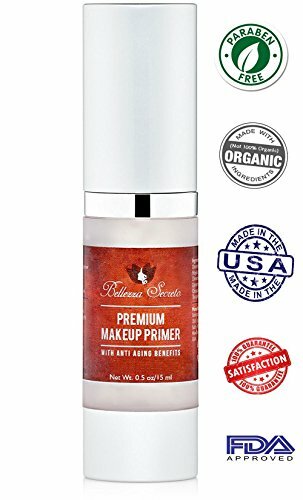 The skin primer helps the skin application of makeup to be even and allows the makeup to last for long. TOUCH IN SOL No Pore Blem Primer is a lightweight, silky primer that works by blurring the large pores on the skin and getting rid of wrinkles while at the same time creating a good base for the application of makeup. The primer is one product by the TOUCH IN SOL a beauty company in Korea. The company produces products that embrace the spirit of innovation by featuring the latest technologies in vibrant color. The TOUCH IN SOL No Pore Blem Primer provides a seamless cover over the skin pores and uneven skin tone by creating a layer invisible to the eye that protects the skin from the outer elements. The primer does not make use of parabens, phthalates, and sulfates. It as well is cruelty-free, all the ingredients come from vegan materials, and it does not clog the skin pores. The primer leaves the skin feeling smooth, fresh and velvety. For proper use, take only a small amount and spread it across the entire face. Massage your face and allow it to massage the primer. The L’Oreal Paris Magic Perfecting Base Face Primer can deliver the perfect skin texture in an instant and one that will last throughout the day. The composition of the primer can blend into the skin in no time helping to smoothen out the dry parts and mattify the oily regions on the surface. The primer can make the skin easily absorb foundation and reduce the amount required on every application. The L’Oreal Paris Magic Perfecting Base Face Primer does not hide the large pores on the surface. It works on removing them giving the skin a smooth and flawless finish. It comes in a small bottle package that is transparent allowing you to see the content inside and with a black lid. The size of the bottle allows for convenience while traveling. The product has passed all the dermatology tests and is suitable for use on all skin types. It has a velvety texture and leaves behind a lasting matte finish. The best way to use the product is by applying a small amount to the affected area and gently rubbing in a circular motion to blend it over the area. The primer is versatile as it can create a smooth canvas for the use of makeup or you can wear it alone. The Sacha Cosmetics Mattifier Face Primer instantly blends out on the skin to smoothen the skin by absorbing the excess oils and reducing the appearance of large pores and fine lines. The primer is lightweight and instantly mattifies the skin without leaving behind any residue. After using the Sacha Cosmetics Mattifier Face Primer, the foundation is set to flow smoothly and efficiently blend with the skin. It can level out the skin tone to prevent skin shine for 8 hours. It is primarily made to absorb any excess oils from the surface. The primer is made of cornstarch and does not use any synthetic silicones. The cornstarch helps the skin to hold onto the makeup for a longer time. For proper application of the Sacha Cosmetics Mattifier Face Primer, use a foundation brush, a cosmetic sponge or clean fingers to apply it on your face or the T-zone area. Blend it by massaging until the skin absorbs it fully. You can either choose to wear it alone if you are looking for a natural matte finish or follow it up with foundation or powder. The product comes in a black squeeze bottle that measures only 4.2 inches allowing you to carry it in your handbag and use it from anywhere. The Elizabeth Mott Thank Me Later Primer has been described to be similar to a real-life selfie- filter. It is a smooth and lightweight formula that helps to minimize the number of pores by blurring them hence making them less noticeable. It also assists in getting rid of fine lines. At the same time, the primer aids in making sure that the makeup stays in place and does not move throughout the day. The primer formula is silky and light hence making a smooth canvas for the application of makeup. It contains a pearl powder that helps to bring out the appearance of the makeup as well as brightening and balancing the skin tone. The Elizabeth Mott Thank Me Later Primer is waterproof and sweat-proof. It does not leave behind a greasy feel. The formula is free from parabens and contains a powder that aids in the regulation of sebum hence dealing with the oiliness of the skin. The formula is not tested on any animals. It has a sleek packaging that of black and white accents that would not look off when you place it on your dresser. The BECCA Ever-Matte Poreless Priming Perfector Makeup Foundation come with protective antioxidants that work under the skin to regulate the production of oil while also nourishing the skin. The oil-control primer targets select oil-prone regions and clears off the oil just like a blotting paper would keeping your skin fresh throughout the day. It helps to minimize the number of pores on the surface. You can use it alone or follow it up with a foundation. The formula does not contain any dehydrating alcohol that could disrupt the skin’s moisture retention ability as well as disturb the makeup. The cream is translucent, smooth and powdery. You can use the primer any skin type. However, its best results are seen on oily skin as it holds the makeup in place and prevents any unwanted skin-shine throughout the day. The price of the primer is a bargain considering the benefits. It helps you reduce the amount of makeup you utilize whenever you use it as a base. The number of times you reapply as well decreases. The primer comes in a package made of a fairly-brown dark brown tube with a screw top and details noted down in silver. Under the cap is a small hole that allows for the control of the product hence no leakage or mess when using the product. BECCA Ever-Matte Poreless Priming Perfector Makeup Foundation does not contain any fragrance, oil, alcohol or silicone. Upon application, it never leaves a white cast behind or any visible color whatsoever. The SACE LADY Invisible Pore Foundation Primer is a clear formula that contains an oil control powder that helps in the fight against secretion of excess oil by the sebum. The formula is made to specifically help in reducing the size of the pores and control the amount of shine giving you flawless matte skin. It also contains properties that help in reducing the number of wrinkles and fine lines on the face as well as maintaining an even skin texture. The texture of the product is refreshing and allows the skin to breathe freely. To use appropriately, use your finger to apply an amount of the primer on the area that secretes excess amounts of oil and smear with a circle. The SACE LADY Invisible Pore Foundation Primer helps to keep the makeup on for a long time. When choosing a makeup primer, you should always remember its purpose is to act as a base of your foundation or facial makeup. It helps the makeup apply smoothly and stay on for an even longer time. Just as there different products for different skin types, oily skin uses only mattifying primers. For dry skin, use a hydrating primer and for a sensitive skin look out for a primer that is free from any fragrance, does not contain any oil or parabens and any other harmful chemicals. One of the most significant problems that comes with oily skin is the skin tone becomes uneven with some areas shining while others are not. Even though the treatment to such a condition is using an oil-free makeup base, you need to start dealing with the issue even before introducing a primer. Wash the skin using a facial cleanser that contains salicylic acid to purify the skin pores, prevent breakouts and slow down the production of oil. It is also good to exfoliate, to get rid of any whiteheads or blackheads that may be blocking the skin pores. A face mask or a chemical peel may con in handy in absorbing the excess amounts of oils and impurities on the skin. Afterward, always remember to use a moisturizer on your skin to keep it well moist and a sunscreen to protect you from the harmful rays of the sun. Better yet, you may use a moisturizer with an SPF of 15 and above if you are tight on budget. As you may notice from the above products, many of the primers come with additional benefits. Some of these include reducing fine lines and wrinkles, getting rid of acne and skin blemishes. Selecting one of the above products can help improve your appearance and allow you to stay within a set budget.